Virtual team leadership is on the rise, with workplace trends such as telework and work-life balance accommodation becoming more popular, according to Rutgers University’s’ online resources. They write that telecommuting is becoming so widespread that rates may even approach 50 percent of the workforce by 2020. This is due partially because of the wishes of employees — 80 to 90 percent of U.S. workers would like to work remotely, at least on a part-time basis. Additionally, employers are beginning to recognize the benefits that come with instituting telework policies and embracing virtual team leadership. The bad news is that not everybody is quite comfortable operating within this new virtual world — at least not yet. Nevertheless, managers and leaders must become acquainted with the ins and outs of virtual team leadership if they wish to succeed in this bold, new, virtually-driven workforce. Since the use of contractors worldwide is on the rise, some are finding themselves managing not just one virtual team, but multiple virtual teams at once. Fortunately, the basics are essentially the same across the board, though you might need to tweak things here or there to fit individual teams and their needs. 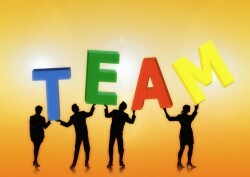 Here are five tips for managing and leading virtual teams to success. Every system needs a backbone to run efficiently, and your virtual team’s backbone will be defined by standards and deliverables. Standards are basic rules across the board that don’t change with work requirements. These might be cybersecurity standards relating to secure logins and processes, as the estimated cost of data breaches is predicted to rise to $2.1 trillion globally by 2019. Other standards might not be so drastic, such as requiring all virtual team members to be available during set office hours. Deliverables look a little different. These are dynamic targets that may change from team to team and maybe even from person to person. The point, however, is to set an expectation of the amount and quality of work you want done daily, weekly, monthly, and even quarterly. Holding your employees accountable to these deliverables ensures that their work gets done on time, no matter where they’re working from. Some of your standards are going to revolve around which software you decide to use and how you’re going to decide to use it. Whatever communications tools you are using, you’ll want to make sure that they are integrated, contribute to productivity instead of limiting it, and that everybody is using them. Unified communications tools like Slack or Skype ensure that all of your conversations and work remain and are represented in one place. This means that nobody will miss important messages or communications, and that all of your regular meetings will be facilitated by the proper technologies. 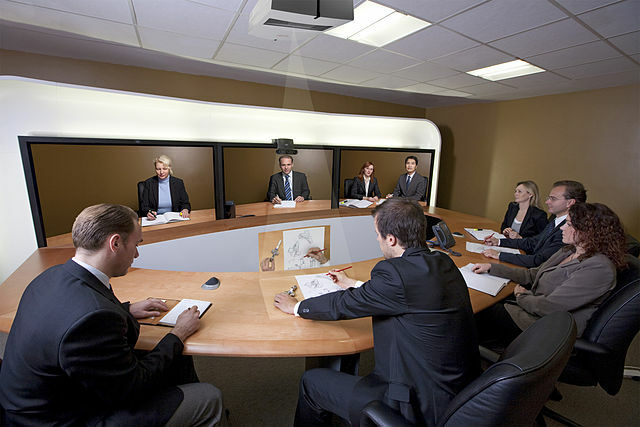 Speaking of regular virtual meetings, make attendance at scheduled meetings mandatory. This means meetings of all types. You’ll want to hold monthly or bi-monthly meetings with your entire virtual team, but you’ll also want to schedule individual meetings with specific employees. This is, perhaps, even more crucial with virtual teams than it is with in-office employees. Leadership requires interaction with employees, while management focuses more on driving results. In fact, Manish Nepal writes that employee experience is a precursor to customer experience, and that if you want to build a good business you have to start by treating your employees with care and attention. By setting up one-on-one time with individuals on your team, you’re demonstrating that, even though you may be half a world away, you’re interested in the well being of the people you lead. Set aside time for these meetings and stick to them. Communication: This is covered above, but chat and video conferencing software tools are a must. Organization: Millennial organizational norms are emerging that differ from the old archaic way of doing things. This might mean adopting cloud tools such as Asana to organize tasks and deliverables. Tracking: Time and asset tracking software can keep everything running in sync, even when employees are spread out across the globe. Productivity: AI monitors can inform employees when they’re spending too much time on non-work related tasks, and help them get back to work quickly. Security: Security standards require security software and tools. Don’t risk anything you don’t have to, or be prepared to deal with heavy fiscal consequences. Data breach insurance should be a major consideration. Accessibility: Centralized databases and cloud log-in portals would fall under this category. Stay on top of your organizational needs by providing your employees with the technologies necessary for them to complete their jobs. Last, but definitely not least on the list of virtual team leader’s tasks, is to stay adaptable. The way that the world is moving demands that virtual leaders roll with the punches every day, as new systems and industry standards change the workforce and the landscape it inhabits. While the standards that you set above are indeed the backbone of your virtual organization, don’t be afraid to change your company standards as the industry standards change as well. If you don’t, you’ll risk being the next Blockbuster — a victim of disruptive forces as well as their own inability to adapt. By following these five tips, you’ll be sure to get the hang of virtual team leadership in no time. Just remember to listen, learn, and add to this list as you become a better leader in your own right with your own adaptable style.